theAsianParent Digital Mom | Vanity and Everything in Between. A new survey from theAsianparent.com reveals that Filipino moms increase their use of the Internet once they become mothers, are increasingly mobile-first and are primary decision makers for household purchases. Do not underestimate the Asian mom. She’s technically the most powerful player at home. According to the latest Annual Asian Digital Mom Survey, run by theAsianparent.com, a notable 83% of mothers in the region consider themselves the primary decision makers in the household. As the key influencers of their respective homes, they often control product choices, domestic arrangements, and even life-changing family decisions. Held for the second year, theAsianparent Asian Digital Mom Survey paints the picture of a highly connected, modernized Filipino mom. 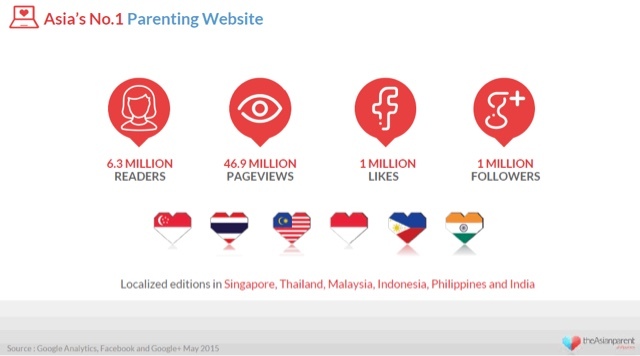 In fact, out of the six countries surveyed (Philippines, Singapore, Thailand, Indonesia, Malaysia, and India), the Filipino mom leads the digital pack and is noted to be the most active on Facebook groups, forums, and online communities. An astounding 22% of these active mommies even admit to interacting on these online communities multiple times per day. This comes as no surprise, as 63% of Filipino moms spend one to six hours on the internet for work, and engagement seems almost second nature. Even after-hours, the Filipino mom is still online, with 49% of them even more active on social media past seven p.m. It seems that as the chaos of the home quiets down, Filipino moms find solace on digital space. She devours parenting tips foremost, with a whopping 98% seeking out tips and tricks to be the best parents and raise happy, healthy children. The parenting topic is followed closely by cooking and baking, sought out by the domestic divas of the household. The Filipino mom’s thirst for knowledge can’t be quenched as 66% continue on to education and enrichment tips. Because the Filipino mom’s day is often booked with appointments and family engagements, she hardly has time to meet up with other moms to discuss the tales and travails of motherhood. In fact, only 12% have the luxury of bonding face-to-face with other moms. The rest or a substantial 77% of Filipino moms interact with other moms online through various communities and social platforms. A good 84% of Filipino moms regularly gather online advice from friends and family members in their online network. Similarly, a close 82% of Filipino moms trust parenting websites to curate advice for them and offer them the best solutions for their mommy concerns. After becoming a mother, Filipino moms admit that the faster, more accessible digital media is more aligned with their busy lifestyle. In fact, because the Filipino mom’s days are packed and her schedule full, she’s able to both gather information and find some me-time when she is online. Figures show that upon becoming a moms, 30% decreased their television consumption, 47% lessened their magazine me-time, and 54% broke their broadsheet habit. With the ability to filter, specify, and choose the information she needs through digital platforms, Internet search increases exponentially for 75% of new moms. Overall, the Filipino mom is online and that’s where you need to talk to her to affect her wants, her household, and her life. As such, theAsianparent is the best medium to reach the digital mom and the right voice to use to influence her. The goal of The Asian Digital Mom Survey was to bring into focus the habits of moms in this region and to help brand marketers better understand the behaviour of this high potential, attractive market segment. Spanning six markets in Asia, the research findings include Singapore, Thailand, Indonesia, Malaysia, Philippines, and India. The survey documented the behaviour of 2,700 mothers who have kids up to the age of 16 and explored what media and social channels she is using, what makes her share content with other moms, and what influences her purchasing behaviour.